This very large antique mahogany partner’s library table is constructed from good quality figured mahogany timbers to a very high standard. 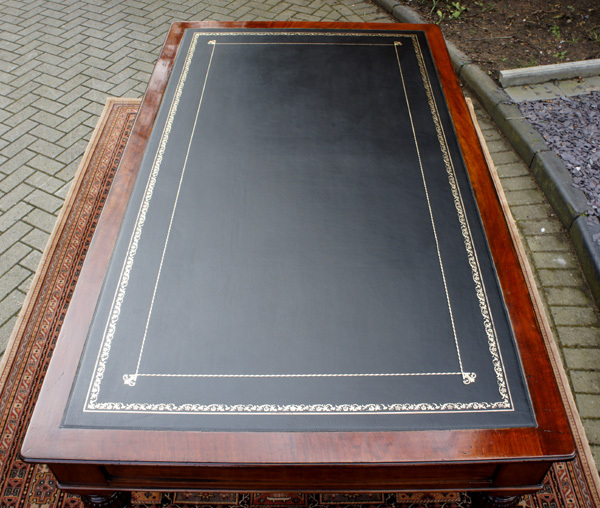 Over the years it has developed a lovely patina and has recently been professionally cleaned and polished. 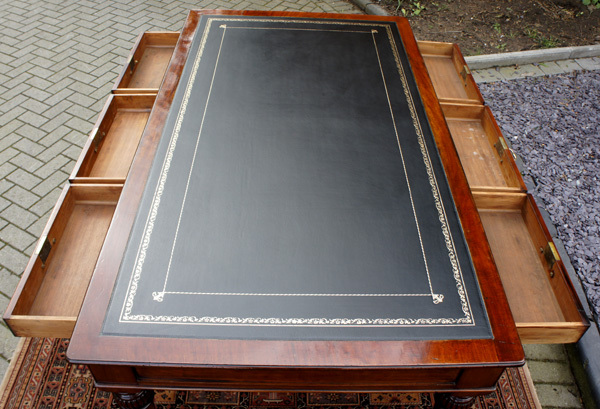 The table has a replacement black hide writing surface with gilt and blind tooling which is surrounded by a band of Mahogany with a rounded edge and rounded corners. figured mahogany timbers to a very high standard. 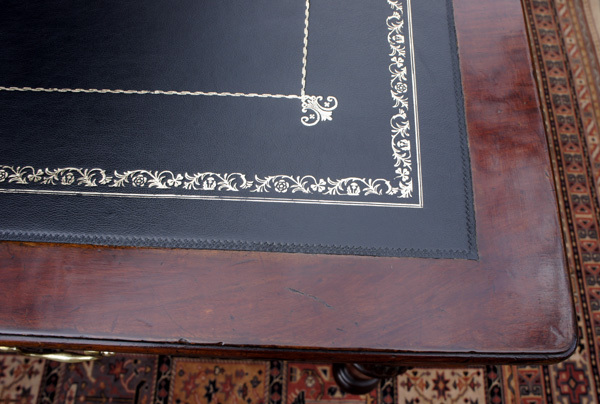 which is surrounded by a band of Mahogany with a rounded edge and rounded corners. original brass locks and brass swan neck handles. The drawers are constructed with hand cut dovetail joints. The table stands on four well turned and tapering legs terminating in brass and ceramic castors. Their large surface are make them very useful as desks, conference or library tables for offices, study or libraries.